Journey to the world of Portuguese Fado as interpreted by Ramana Vieira, a northern California native of Portuguese descent. Vieira’s parents immigrated to the United States from Portugal, where her grandfather was a well-known musician and composer from Madeira Island. Vieira’s work captures traditional Fado and influences from the Portuguese diaspora in a musical tapestry that ranges from the whispering, haunting ballads of Fado, to American classics and jazzy blues. She also is a proficient pianist and a gifted songwriter having penned and composed her own original Fados, of which several have been nominated at the International Portuguese Music Awards. Fado is the most widely recognized genre of Portuguese music, dating back to 19th century. The word Fado literally means destiny or fate. Musically, Fado is characterized by poetic lyrics related to the darker elements of love, loss, redemption, and occasionally humor--as heard on her original composition “A Fadista” from her Fado da Vida album. Fado contains Moorish musical roots and must follow a specific musical structure. Its eruptive ballads evoke the emotion of saudade–a yearning for something lost. During a grievous time and turbulent era in Portuguese history, Fado was popularized as it served as a means of cathartic lamentation for the mourning and sorrowful. Vieira grew up listening to American pop, alongside Portuguese folk music and Fado. “During my childhood, I sang with my mother to Amália Rodrigues and other famous Fadistas (or Fado musicians) that were part of mom’s special record collection,” says Vieira. It was apparent at an early age that Vieira possessed exceptional musical talent. She studied at the prestigious American Conservatory Theatre in San Francisco under the influence of Faith Winthrop. But a spontaneous trip to Portugal shifted her professional vision and catalyzed an exploration deep into the world of Fado. In Portugal, Vieira connected with her roots and found that Fado ignited her spirit and set her soul aflame. She began to study intensively with local Fadistas and began to perform at venues singing Fado during her stay in Portugal. She was loved by her fans in her homeland; her authentic and individual style was refreshing and well-received. 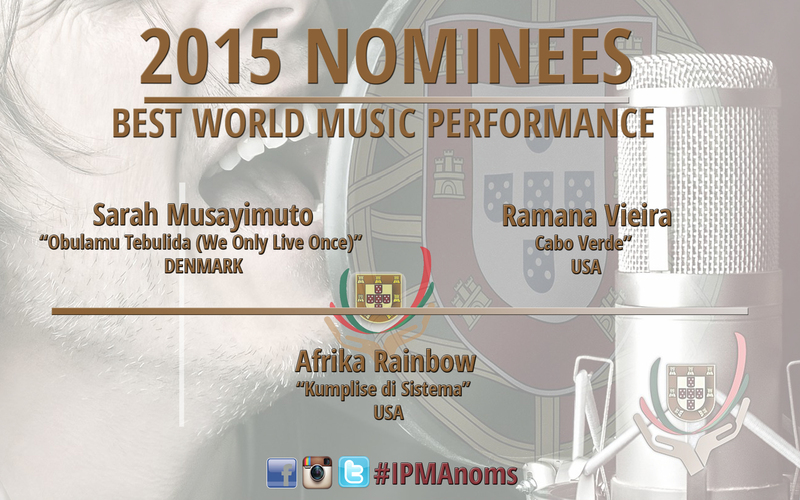 Vieira’s brilliant musicality and colorful heritage appeal to a global audience. Vieira’s work has been influenced by the great Amália Rodrigues and many other well-known Fadistas, but Vieira has found her place as a Fadista of the 21st century by maintaining the tradition of Fado while forging a new path with creative layers, textures, and compositions. In addition to Fado, Vieira has written masterful original compositions and compiled a synergetic repertoire that reflects the full scope of her identity by incorporating her background in American theater, blues, and soulful classics into her sets. 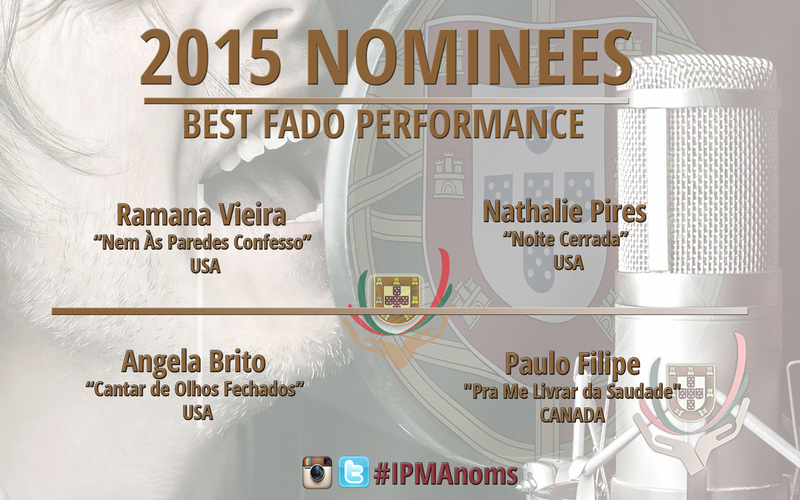 Through this multifaceted fusion, Vieira has finally fulfilled her Fado, fate. Vieira has been described by Mundo Portugues newspaper as the “New Voice of Portuguese World Music.” Her original composition, “Unido Para Amar,” was played at the opening ceremony of the 2006 Winter Olympics. Recently, United States Congressman Jim Costa expressly invited Vieira to perform for the President of the Regional Government of the Azores, Portugal. Vieira has also headlined the largest Portuguese festivals in the world. 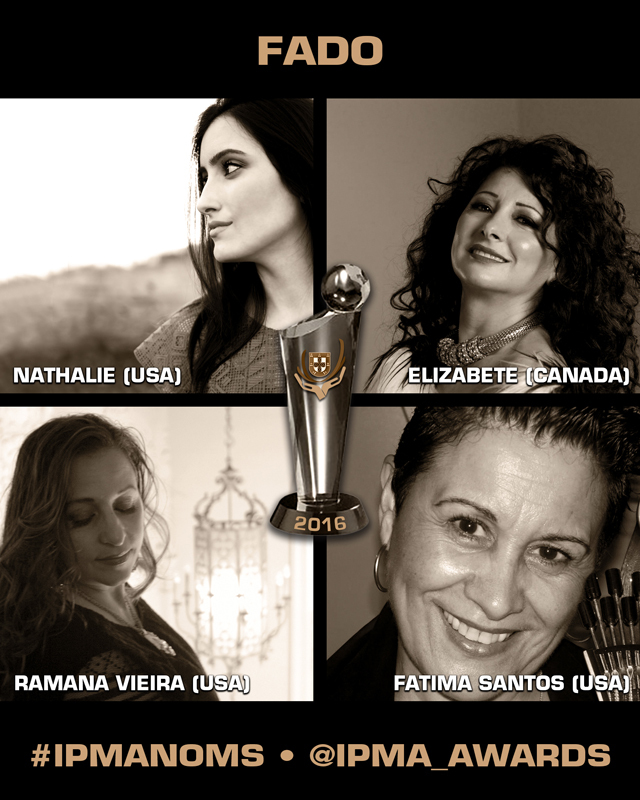 She has received multiple International Portuguese Music Awards (IPMA) nominations for her original compositions. 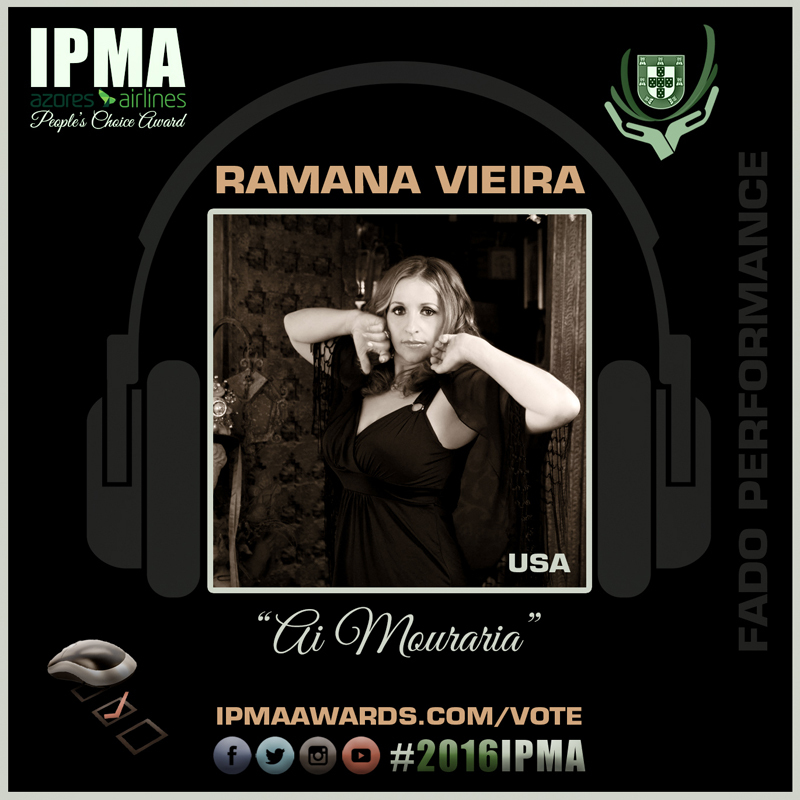 Ramana Vieira is a classically trained vocalist with a new vision for Fado music. If you would like to learn more about her music, recordings, upcoming shows or anything else, we invite you to contact us.